7.0 grams Vital Wheat Gluten Diastatic malt was used in the original recipe. The malt enzymes build the gluten structure. Direct addition of Vital Wheat Gluten is a more controllable means to this end. 2 tsp Extra Virgin Olive Oil Liquid measure is easier; equivalent to approximately 12 grams. 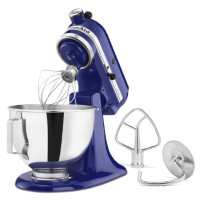 Thoroughly mix bread flour, salt, and vital wheat gluten in the stand mixer bowl. Add dissolved yeast to the dry ingredients and start mixing on low with the mixer dough hook. Be patient and DO NOT attempt to "adjust" the mix with more flour or water. 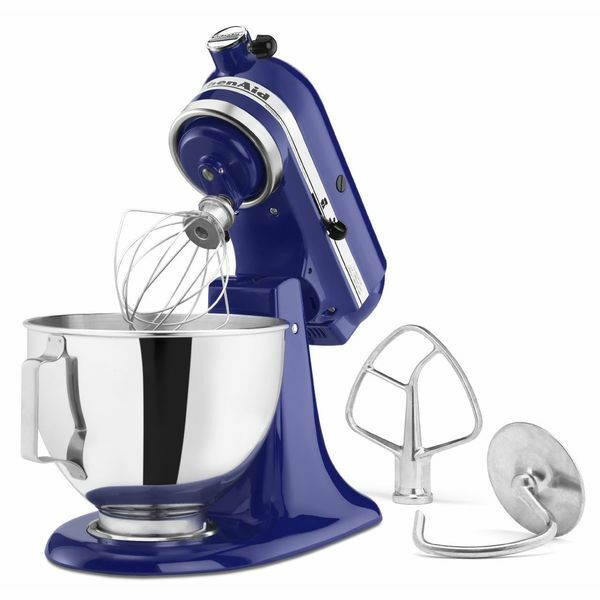 Form the dough into a smooth, uniform ball pinching any folds together. Flatten slightly and place the ball into an oiled (i.e. spray with PAM) sealable container. 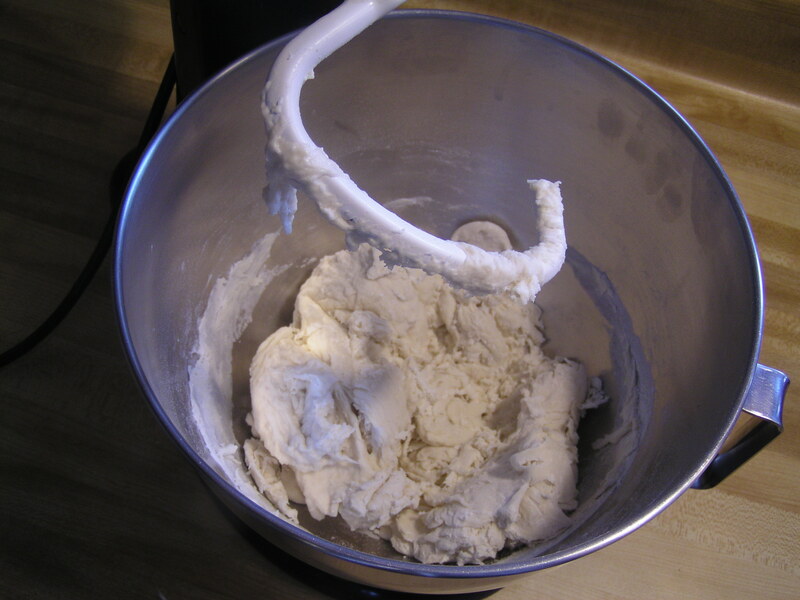 This is your dough bucket (see the Equipment page). Allow the dough to rest 15-20 minutes at room temperature and then refrigerate (@ 38 degrees F) for 3 days. CHECK YOUR WORK! Even refrigerated your dough should show some rise after as little as four hours. 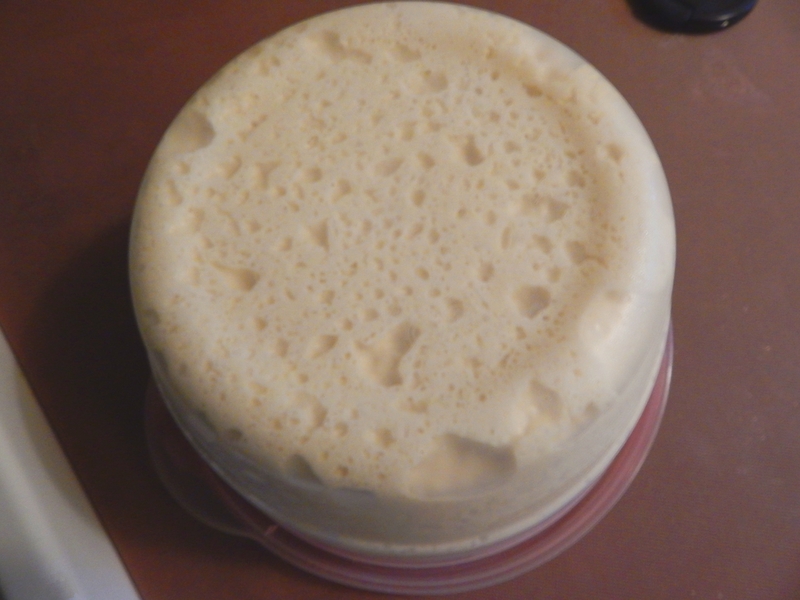 After 24 hours you should see a considerable amount of yeast CO2 production (bubbles). If your dough bucket is clear you can take a look at the bubbles trapped under the dough ball. The picture on the left is typical of what you should see on the bottom after 48 hours. 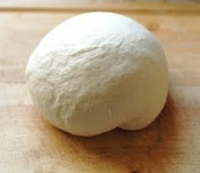 Pinch and deflate any large bubbles that form on the top of the dough ball. This makes it easier to stretch out the pie later on. 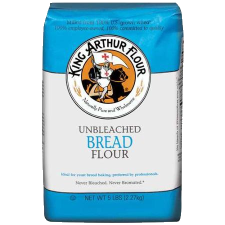 Flour is hygroscopic which is a fancy way of saying it can absorb water. 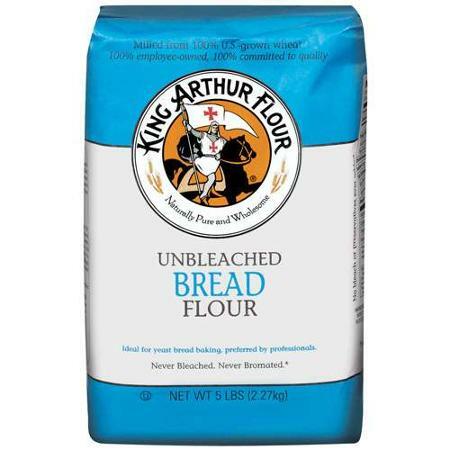 Thus, in mid to late summer flour has a tiny bit more water absorbed in it compared to flour in January or February. I make a small compensation for this during the year as humidity changes (see Tip #4). Bear in mind this is a perfectionist's point of view, the adjustment isn't absolutely critical to the outcome. 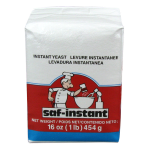 It may seem obvious, but add yeast AFTER microwaving the water. 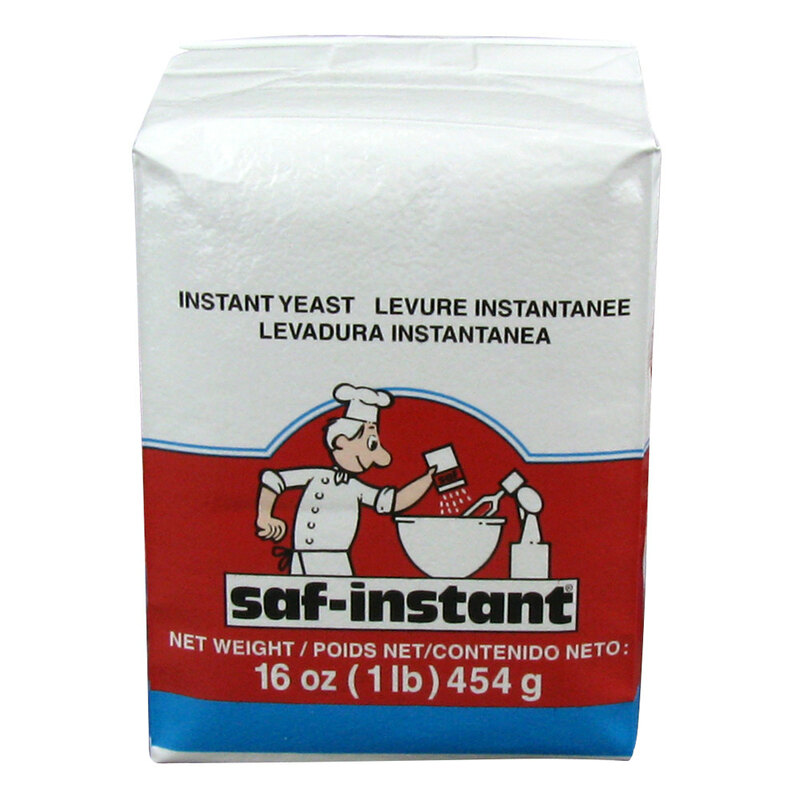 Yeast is a living organism (it doesn't respond well to being microwaved). Second, recipes sometimes mix IDY and ADY (Instant and Active Dry Yeast) in with the dry ingredients. Good idea? Ummm... Maybe... But, understand what's going on here. Both IDY and ADY are freeze dried products. Each tiny grain of dried yeast is actually a whole city containing millions of yeast cells trapped in the goop the yeast guys eat. Give them a break. Let them stretch their legs before putting them to work. Afterall, you want them active and throughly dispersed in the dough, not trapped in their Ho-Ho's and Cheetohs playing video games. Why wait to add the oil? Well, it's an old baker's trick. Flour absorbs oil faster than water. 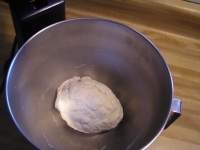 By wetting the flour first the dough will be more uniform and clump free. There's a more thorough scientific reason, but let's leave it with "clump free". Pizza dough is a slightly "slack" dough. This means it has a high water to flour ratio. But, it is not as slack as, for example, a ciabatta bread. 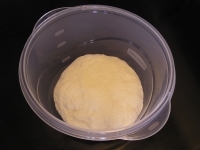 The normal baker's ratio for pizza dough of this type is 62-65% with flour represented as 100%. Weird, but that is how it's calculated. The important point is whether your dough has the right "hydration" level. And, that is evident by how sticky your dough is. Thus, to test the dough, stick your finger into the ball. If a small residue separates from ball when you pull your finger out, that's good. If the dough ball itself is so sticky it clings to your hands just handling it, that's bad. The perfect hydration level is when the ball feels sticky but doesn't cling to your hands and does cling when you do the finger poke test.